NCRC funded research led by Dr Tom Flanagan aims to produce a novel surgicalvascular graft capable of growing with children, and thus reducing the need for multiple replacements. 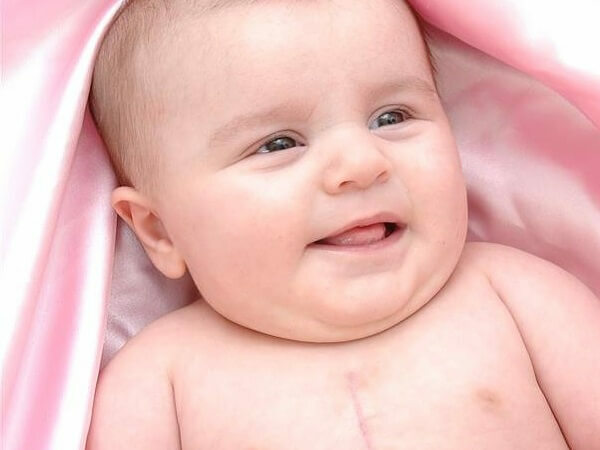 About 1% of children born in Ireland are diagnosed with a structural defect of the heart. The surgical treatment for these defects often requires the implantation of a vascular graft to re-direct blood flow in the right direction. A significant limitation in this field is the inability of current graft materials to grow and remodel as the patient grows, meaning that children may require multiple replacements.Tissue engineering has emerged as an exciting alternative approach to this problem, opening up the possibility of producing living vascular conduits with the potential for growth and remodelling within the patient. To date these tissue-engineered grafts have been limited because of stretching of the graft wall that would likely lead to rupture. It is thought that the absence of elastic fibres, which protect vessels against over-expansion, may ultimately be responsible for this expansion. This research project, led by Dr. Tom Flanagan (UCD), has focused on producing a novel vascular graft that can be constructed primarily from materials isolated from the infant, removing the potential for graft rejection, and providing the child with a living graft capable of growth. An additional aim was to ensure that the graft had both the strength, and the correct structure, to overcome the limitations of earlier grafts. This complex project had many stages. Initially, it involved taking a blood sample from the umbilical cord at birth, extracting a protein (fibrinogen) that is involved in wound healing from the blood, and using it together with a biodegradable polymer to manufacture a temporary tubular structure, through which the blood will flow. The infant’s cells, also removed from the umbilical cord, can be seeded onto this tube, which has a base material designed to mimic the natural cellular environment within a blood vessel. In this project, this seeding of cells onto the tube was successful, thereby creating a living vascular graft. The next phase was to optimise the appropriate addition of nutritional supplements, to enhance the formation of further essential components of the graft, such as collagen and elastin, without which the grafts would be too weak for implantation. The success of this challenging step brings about a real improvement in the available grafts. Finally, to strengthen the vascular grafts further, the team also designed, built and tested a customised ‘gym’ (bioreactor) to enhance the production of mechanically stable tissue by the cells within the graft. The bioreactor was also shown to enhance the structure and strength of individual vascular grafts, providing them with mechanical properties similar to those of a normal blood vessel. As this phase of the work comes to an end, the team are excited about the prospects of these vascular grafts in the clinic. They hold great promise for further development as potential living devices in paediatric patients. The now plan to move the research forward from the laboratory to the pre-clinical testing phase, by analysing the growth and developmental potential of these vascular grafts in an animal model.